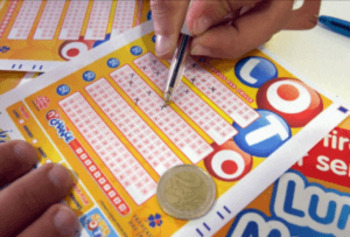 France Lotto, also known as the French Loto, is France’s premier national lottery. In addition to its enticing grand prizes, which start at a guaranteed €2-million minimum, it features pretty good odds for winning the jackpot and actually some of the best odds for winning anything of the entire global lotto industry. Because of this, as well as the raffle draw that all tickets are automatically entered in, France Lotto is well loved by lottery players from not just all over France but also beyond its borders. But how does it compare to the best lotteries? 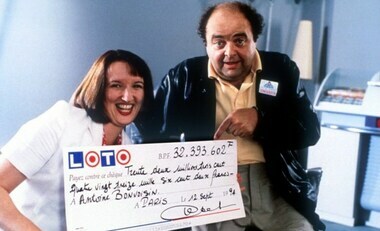 France Lotto has been around for quite some time—longer than most international lotteries, in fact. It first appeared on the scene in 1976 and is operated by the Francaise de Jeux Groupe, France’s largest lottery operator. The French government owns 72% of this company, and a great deal of its earnings go toward supporting sports and various sports-related initiatives around the country. Its popularity has grown to such heights that 15 million French players get in on the action every week. Considering the country only has 67 million people, that’s a pretty big percentage of the population! 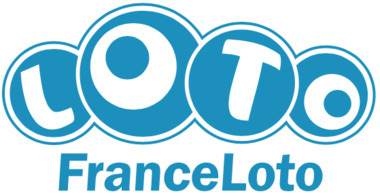 In addition to being the French national lottery, France Lotto is also an international lottery, meaning it is open to everyone who wishes to play it—it’s not just limited to French residents. One of the major appeals of France Lotto for both veteran and new players alike is how straightforward it is in its mechanics. The game uses a double-matrix model, meaning numbers are drawn from two separate pools. The first pool consists of 49 balls that range from 1 to 49, and the second pool consists of 10 balls that range from 1 to 10. To win the jackpot, players must match five numbers from the first pool and one number, called the “Chance number”, from the second pool. However, there are nine prize tiers in total, so even if you don’t win the jackpot, you actually stand a pretty fair chance of winning one of the secondary prizes. As mentioned above, the France Lotto jackpot always starts at €2 million, but what’s fascinating about this lottery is that every time a draw occurs without anyone winning the jackpot, it automatically grows by €1 million. Since draws take place three times per week, the jackpot can grow pretty quickly. And the bigger the amount, the more people start playing, which further multiplies the pot. In terms of rollovers, France Lotto’s cap is pretty relaxed: the maximum amount of times the jackpot can roll over is 34. If by that point no one has won it, it rolls down to the next prize tier. Although it’s unlikely that the jackpot would roll over this many times, if it did, you’d be able to take home (or at least split) the jackpot with much better odds. Every entry line that is sold automatically comes with a code for the France Loto Raffle that is conducted separately from the main draw, and it could earn you a cool €20,000. Ten of these prizes are paid out during every single draw to those whose raffle codes match the ten winning codes, which are chosen at random. With the three weekly draws, players really have quite a lot of chances to win one of these raffle prizes or a prize in the main draw. And, during special times of year, like Christmas, the number of €20,000 prizes available in each raffle can go up to 100! How’s that for a Christmas bonus? When comparing France Lotto’s odds to those of other national lotteries, they are actually not too bad, especially considering the value of the windfalls that await its lucky winners. You have a 1 in 19,068,840 chance of nabbing the jackpot, and this is a world of a difference compared to other European lotteries such as EuroJackpot (1 in 95,344,200), EuroMillions (1 in 139,838,160), or even UK Lotto (1 in 45,057,474). When you factor in that the odds of winning some kind of prize (including one of the €20,000 raffle prizes) are 1 in 6, which is among the best of any major lottery in the world, France Lotto has a lot going on. France is one of those countries whose people love to gamble, and that perhaps is immediately evident in how often its national lottery draws take place. Whereas most other country’s lotteries occur once or twice per week, France Lotto draws a whopping three times per week. The draws take place in the capital of Paris at 8:35 pm CET on Monday, Wednesday, and Saturday nights. All winnings are paid out in lump sums, meaning there is no annuity option with France Lotto. For most people, this will be good news, since most prefer to take the lump-sum option even when winning much bigger prizes through other lotteries. An added bonus is that if you’re a resident of France, you won’t even need to pay any taxes on your winnings, no matter how big they are. Of course, if you’re playing from elsewhere, your local tax laws might be different. The only payout option with France Lotto is a lump-sum payment; there is no annuity option for people who prefer to receive their winnings over several decades. Unlike many other countries, the French government doesn't tax lottery winners, so what you win is exactly what you take home with you! That being said, if you're playing from abroad, you could still be subjected to your own country's tax laws. Playing France Lotto online is possible regardless of where you are, since it’s an international lottery that’s happy to have players from other countries join in. The best way to play is through one of our favourite online lottery sites, which will either buy official entry tickets on your behalf or allow you to bet on the outcome of any upcoming France Lotto draw. France Lotto – Is It Worth Playing? The French might have a reputation around the world for their wine, bread, and cheese, but the France Lotto is also a worthy contender in the global lottery industry. With often amazing prizes that are tax-free and paid out in a single lump sum, exceptional odds for winning something, and a minimum of ten €20,000 raffle prizes to win during each of its three weekly draws, France Lotto is not just worth playing—it’s an absolute must for any lotto lovers who haven’t yet given it a try. I have play the many lotto games in a many country and have a few that are my favorit, French Loto is amazing!! Only 1 know to have such raffle prize, which wife and me win!! Love it. !